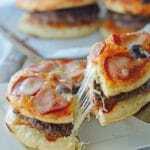 Pizza Burger Recipe is a simple weeknight dinner for your family! A great old school lunch favorite with a twist that everyone will appreciate. Excellent birthday party food for kids or for a weeknight dinner. Loved by children everywhere. Play with the recipe and use hot dogs, bologna or luncheon meat for a new taste each time. A wonderful, quick and easy meal. 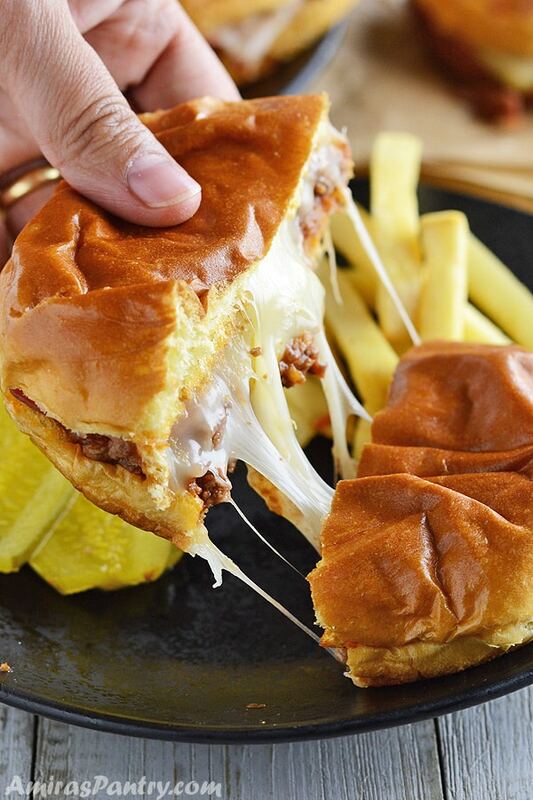 Pizza burgers are a very very kid friendly recipe. When my kiddos saw me making these, they were going crazy over it. I hardly managed to be done with the photos. Although I gave them some to nibble on while keeping the rest for the shots, they kept hovering over what I have wanting more!! 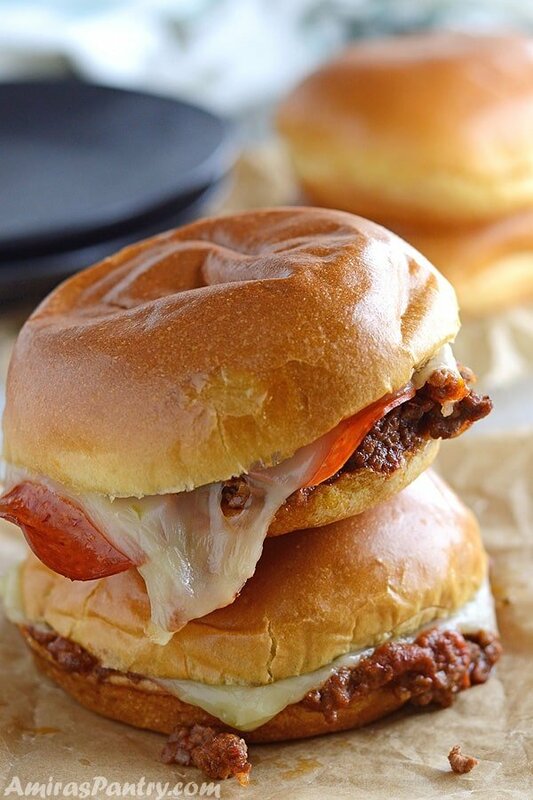 Pizza burgers were among school cafeteria favorites. Hamburger meat were cooked in a mixture that includes tomato sauce/paste topped with shredded cheese and then toasted. Very tasty and easy for kids of all ages. What goes with pizza burgers? I’ve served mine with some fries and pickles on the side. You can serve with sliced tomato, onion and cucumber for a healthy side. 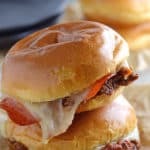 How do you make pizza burgers? Heat oil in a pan and sauté onion until translucent for about 2 minutes. Add minced garlic and sauté for 30 seconds more. Add ground meat and break apart until it is browned all around. Add pizza sauce and all the seasonings. Stir to combine well. Cook until the mixture id bubbly and thoroughly cooked. Pile meat mixture on bottom of a bun, top with pepperoni slices then a slice of cheese then the other half of the bun. wrap in foil and pop in a 350F oven for 3-4 minutes until cheese melts. You can use ground chicken or turkey instead if you are avoiding red meat. You can use store-bought burgers and break them apart and cook in the sauce and proceed with the recipes as is. Also, you might want to cook the burgers as is and follow the recipes afterwards. This is a very flexible, forgiving recipe. So try to play with it each time you’ll be amazed. 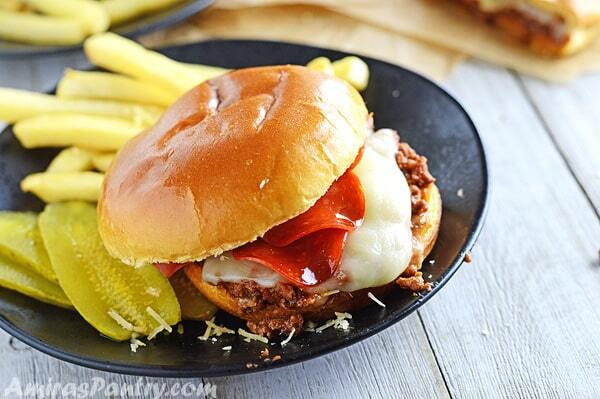 Easy pizza burger recipe with ground beef for parties or weeknight dinners. School lunch favorite with a twist. 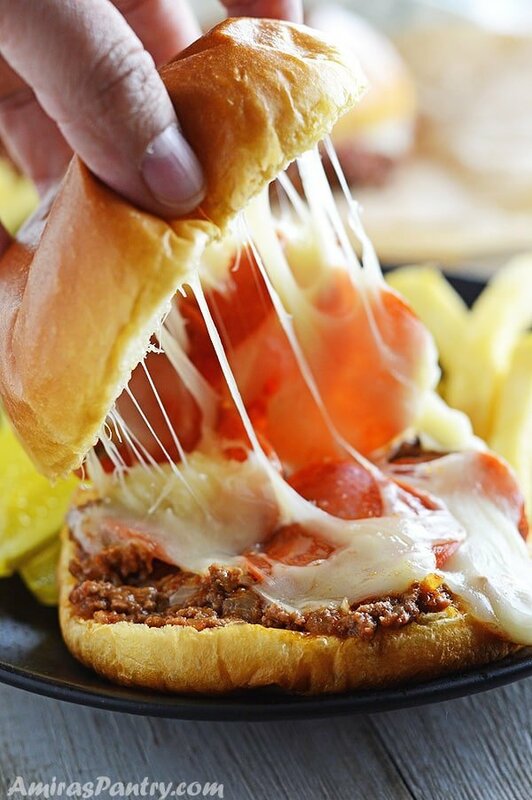 Pizza Burger Recipe. 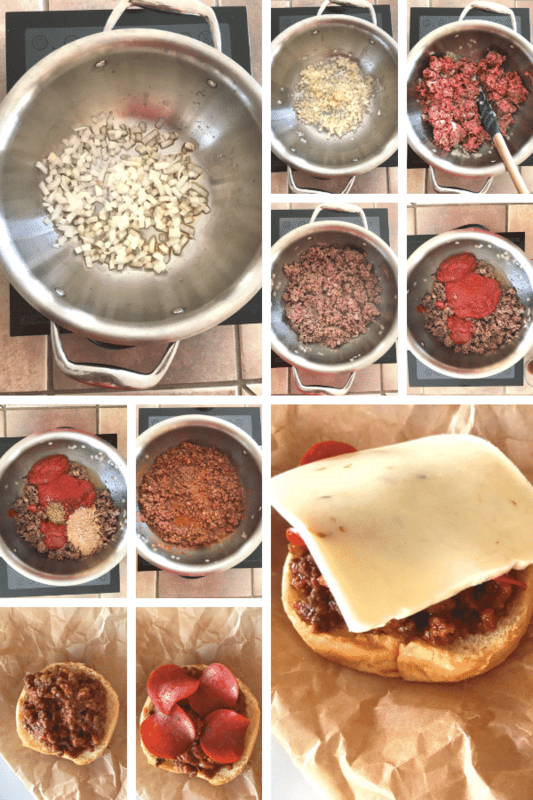 An Easy pizza burger recipe with ground beef for parties or weeknight dinners. School lunch favorite with a twist. 1 1/2 pound lean ground beef. 1 14 oz can pizza sauce. 6 slices of your preferred cheese. In a skillet over medium high heat, sauté onion until translucent. Add garlic and sauce for another 30 seconds. Add ground beef breaking it apart and stir until it is browned. Add remaining ingredients and mix everything well. Keep cooking for another 3-4 minutes. Pile meat mixture on bottom of a bun, top with pepperoni slices then a slice of cheese then the other half of the bun. Nutritions facts are calculated for turkey bacon and reduced fat jack cheese. Also buns are not included as it will vary a lot. 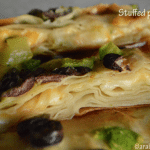 This recipe is great, my kids loved it and it was so easy to make. I did not have oregano but it turned out really well. That’s great to hear Deborah! So pleased you enjoyed this!